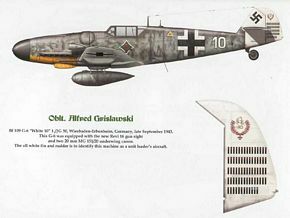 This is the biography on the two fighter pilots Hermann Graf and Alfred Grislawski of JG 51, JG 52, JG 50, JG 1, JG 11, and JG 53. The book was written in co-operation with Alfred Grislawski. 26 color profiles of aircraft flown by Graf & Grislawski by Claes Sundin. 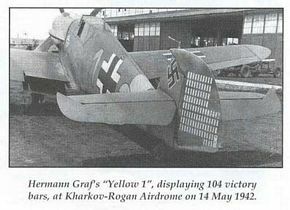 The Graf & Grislawski Messerschmitt 109 Original Rudders are on display at Technikmuseum Speyer! Click here for photos and information of this great event! We owe deep gratitude to JG 52 Traditionsgemeinschaft for an unwavering support to make this book become a reality. Note! New e-mail address from 10 June 2007!